SOCOM, the U.S. Special Operations Command, is going silent in a big way — purchasing $23.3 million worth of suppressors (and adapters) from Surefire, LLC of Fountain Valley, California. 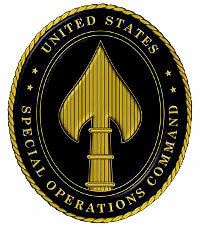 The huge contract, for an indefinite quantity of sound suppressors, suppressor adapters, blank firing adapters and training adapters, was awarded by officials of the Naval Surface Warfare Center — the primary solicitation center for U.S. Special Operations Command — as part of the Family of Muzzle Brake Suppressors (FMBS) contract. Share the post "Silent Treatment — $23.3 Million in Suppressors for SOCOM"